﻿"Who am I? I think I have to define myself everyday" An interview with artist Jorge Manilla. ​I saw Jorge Manilla's work for the first time in 2013, at Joya Barcelona where he had a solo exhibition titled "Contemporary Savagery". It was about violence, troubled objects, and the human soul. I was intrigued; It seemed like he was materializing feelings through his jewelry, the exhibition was truly an experience. So I have closely followed his work over the past several years and I was so happy to have the chance to meet him in Athens, Greece and chat about so much more than jewelry. He opened up about his life's challenges, his work and philosophy of life in this inspiring interview. Για να διαβάσετε την συνέντευξη του Jorge Manilla στα Ελληνικά, πατήστεεδώ. ​In an exclusive interview artist and jewellry designet Jee Hye Kwon -winner of the "After Joya Effect II" public award- talks about her work and inspirations. We recently had the chance to meet and chat with this talented artist as she came to Greece all the way from New York for a solo show and a lecture at the "Popeye loves Olive" art gallery. We were able to get a close up look at her beautiful works and she was kind enough to show us photos of her work in progress in the interview that follows. 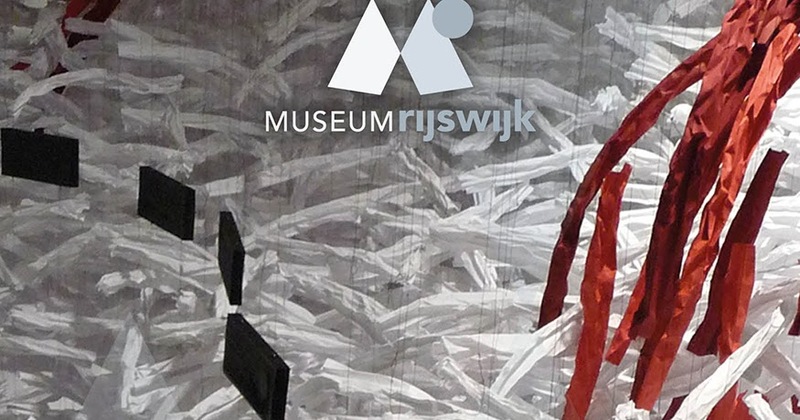 Since 1996 Rijswijk Museum has been hosting the Holland Paper Biennial, exhibiting contemporary, international paper art. During each Biennial there is an extremely varied body of paper artworks on display, but this year the focus is on large installations. Comme des Garçons Ready to wear Spring/Summer 2016 Collection/ Part 2. 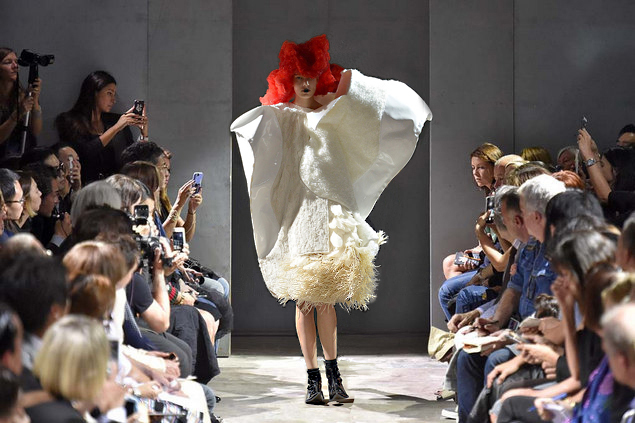 Inspired by the theme of benevolent witches and in line with the motto “expect the unexpected”, Rei Kawakubo bewitched her audience. She presented an unconventional, sculptural collection, blurring the border between fashion and art. Flora Vagi is a talented, young jewellery artist whose work was recently featured in Schmuck exhibition, in Munich. Despite her young age, she has already gathered an impressive collection of awards, including the "Cominelli Awards – Special Mention", Saló, Italy, the " Talente" – 1st Prize for Design, International Craft Fair, Munich, Germany and the "World Craft Council - Young Talent Prize", Mons, Belgium.​ We recently had the chance to meet with her, as she came to Athens for a seminar and a lecture at Anamma and she was kind enough to take time out of her busy schedule to chat with us, for an exclusive interview. ​Για να διαβάσετε την συνέντευξή της στα Ελληνικά παρακαλώ πατήστε εδώ. "Blue Witches" is the theme for the Comme des Garcons S/S 2016 Collection. Designer Rei Kawakubo presented monumental, sculptural clothes, citing witches as her inspiration. "Paper World": Origami and technology on film. "Paper World" is a film about the delicate relationship between humans and the natural world. It was created by Dávid Ringeisen and László Ruska as their graduation project during their studies at Moholy-Nagy University of Art and Design in Budapest. This short film is a branded piece for WWF Hungary as it represents the values that WWF stands for. 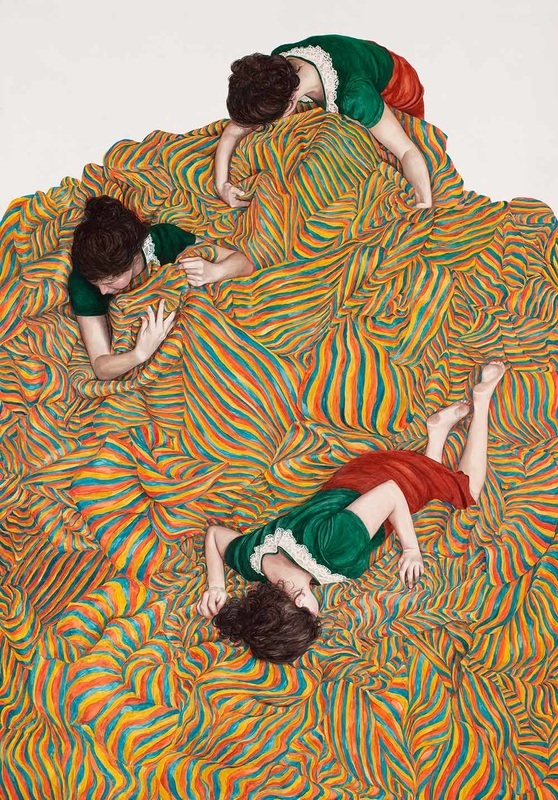 A "Cosmos" of fabric pleats, of rich and colorful textures is created in Monica Rohan's works. The way she combines abstract patterns with realistic figure painting is reminiscent of Gustav Klimt works and the way he entwines bodies in elaborate textiles.